After a day of pretty much starving for lack of food choices as well as having to bear with the torture of really sensitive teeth that disallowed chewing of any sort, I finally got out and got myself some supplies! I now have a stash of soft foods that I'm going to survive on through this period! 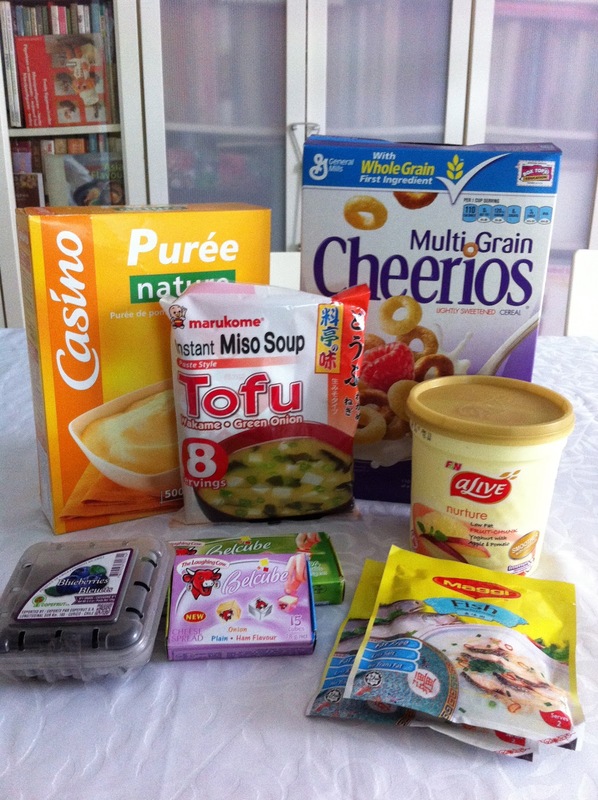 As you can see, I've heeded the suggestions that I've found from some of my readings on "braces friendly foods" and now have cereal (to be soaked in milk), miso soup, mashed potatoes, porridge, small cubes of cheese and yogurt (for calcium!) and blueberries! I tried having the multigrain Cheerios today for breakfast and they took a bit longer than I expected for them to soften, so I had to leave them in the refrigerator to soak in the milk for a while before they were of an appropriate softness for me to swallow. Other than that, I was so happy that I finally had a stash of edibles so I wouldn't be starving! The laughing cow cheese cubes were really such a happy find! The onion ones are the best! Having a houseparty tonight was also quite the challenge! Especially that I've recently decided to fast my dinners for some personal reasons, and now with the lack of choice of foods that I can eat, it's really tough trying to meet my daily caloric intake needs! Just seeing the turkey, roasted chicken, beef rendang, SALAD!, pizza, chips, tiramisu.... it was almost impossible to not feel sad! And again I had to skip popcorn as we had a movie night! :( But I guess this phase is teaching me a lot of self discipline and faith that I will be able to pull through. After two days of trying to brush my teeth softly, but as thoroughly as possible, I've also found it hard to get in between the wires and have gone with my ortho's advice to buy some interdental brushes. I took a trip down to Guardian and Watsons and was really surprised to find such big price differences! It was quite an eye opener looking through the dental sections. 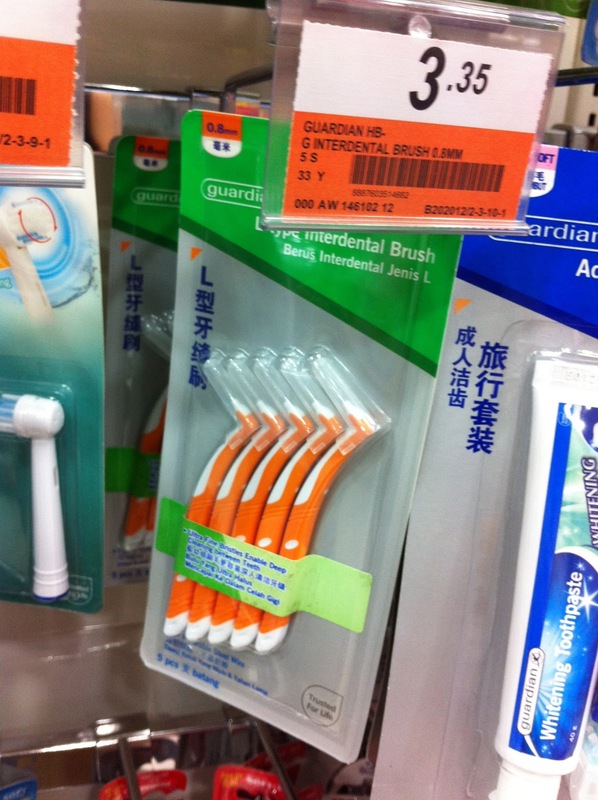 I mean, how different can interdental brushes get?! However, although they were pricier, I have to commend Watsons for having done such a good job with their extensive range of dental products. These were from Guardian at only $3.35! 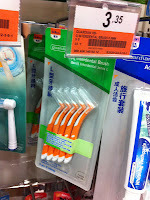 And these were at Watsons with the prices starting at $6! Life nowadays has pretty much centred around trying to take care of my braces as well as planning meals and trying to meet my daily caloric intake (which is honestly quite a feat considering I have such limited options and barely have much time or patience to eat so slowly). It's only been a few days, but it's amazing how such a "little" change in life can have such effects... but I'm glad for this period of transition. As we reach the last day of the year, it's time for closure as well as a time for goal setting and I'm excited! This coming year is going to be the best year yet!